A special and unforgettable location. 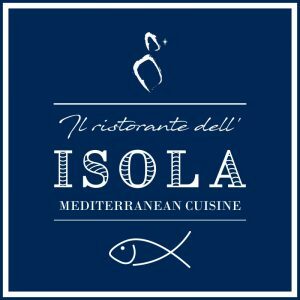 Il Ristorante dell’Isola is the perfect place to enjoy the glamorous side of Porto Cesareo, with its suggestive views of the Ionian sea and the Fish Market Street in the background. 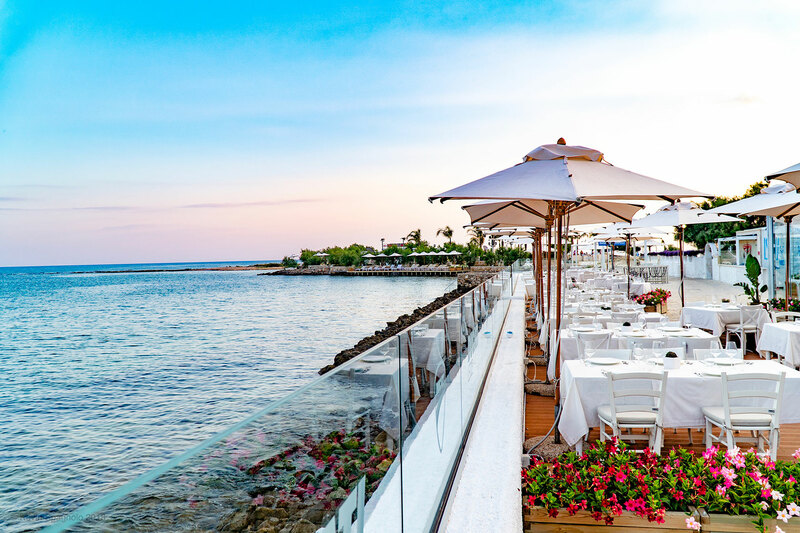 One of the favorite places for those who love to enjoy a lunch or dinner with a view, thanks to its lively environment and the quality of the raw materials used to prepare the traditional Mediterranean dishes proposed by our Chef. During the day, from its elegant dining room it is possible to feel the regenerating scent of the sea that breaks on the rocks. At sunset, tIl Ristorante dell’Isola offers an incomparable view of the village, with the warm light of the street lamps reflected on the waves. Mediterranean cuisine, typical italian touch. Mediterranean food is not only a pleasure to be enjoyed but a real lifestyle. A philosophy that our Executive Chef, Gabriele Piga, transfers to every dish, trying to offer the best of the gastronomic tradition of our territory. At Il Ristorante dell’Isola we serve not only dishes based on fresh seafood, but also a refined selection of tasteful meat dishes and delicious gourmet pizzas. A truly exclusive moment of relaxation. The lounge area of ​​our restaurant is always available for your moments of pure pleasure from the aperitif until after dinner. What’s more regenerating than a frozen drink to sip a few steps from the sea and with a chillout song in the background? And on a small island, like ours, the experience becomes even more pleasant and exclusive.